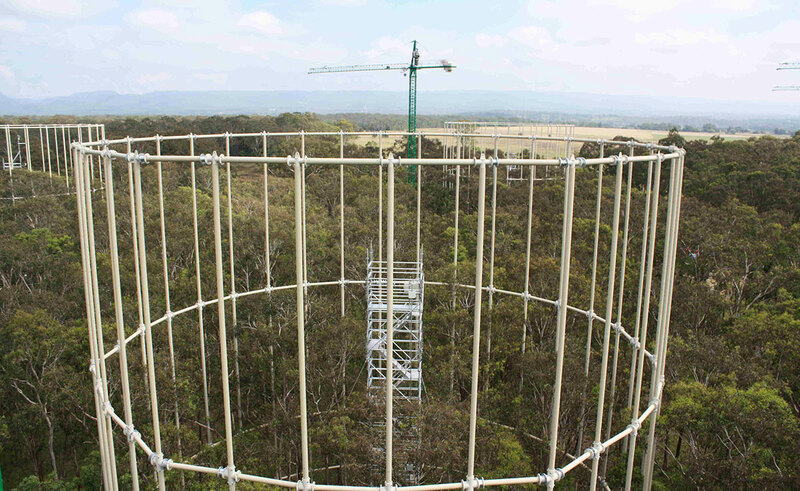 EucFACE is designed to predict the effects of rapidly rising atmospheric carbon dioxide on Australia's unique native forests. 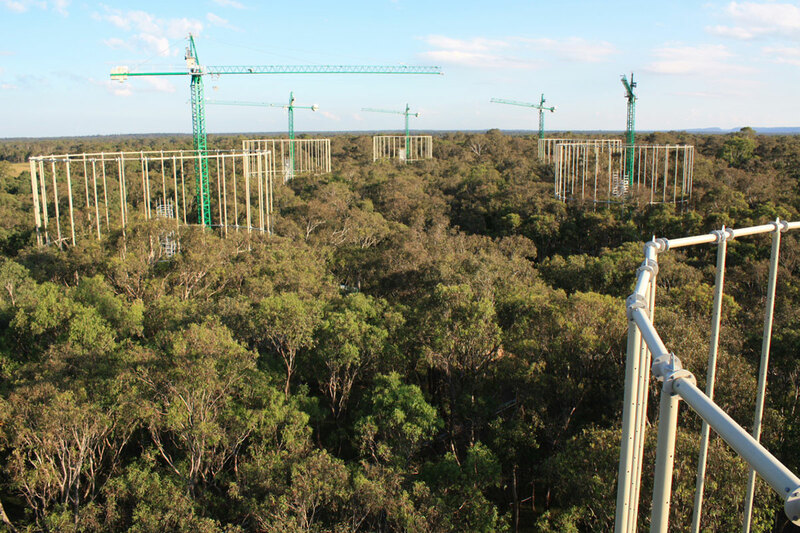 This innovative experiment aims to predict decades in advance the effects of exposure to rising CO2 levels on native forests, animals, soils and grasses. 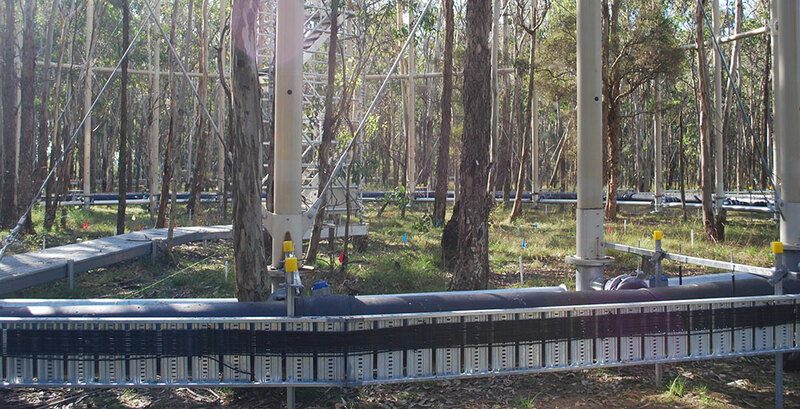 EucFACE is a massive experiment that exposes large areas of native Cumberland Plain forest to elevated CO2 at around 550ppm which is what we expect to reach by 2050. The level of CO2 in the air is currently around 400ppm and rising. Native forests cover around 160million hectares of the Australian landmass, so understanding how increasing levels of CO2 will actually affect the function of our forests is a vital question. 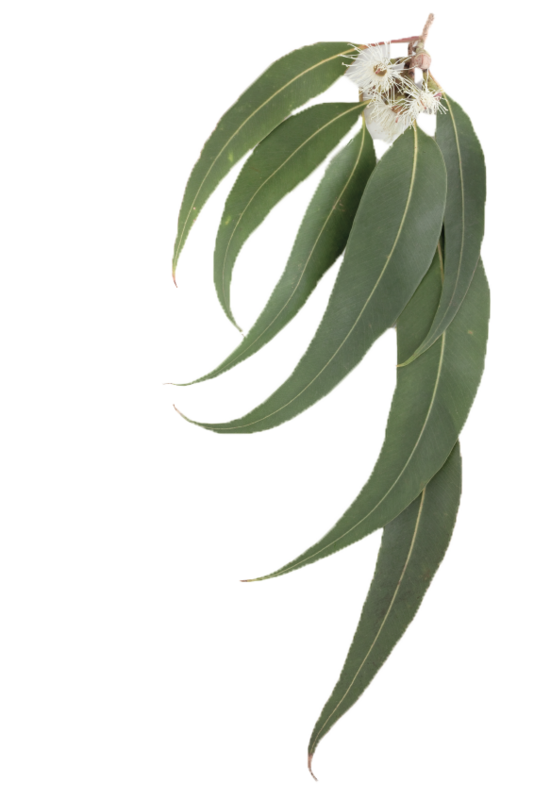 Based on similar experiments in plantations and crops around the world, there is a reasonable understanding of how different managed ecosystems react to elevated CO2 but what is missing is good insight into how our unique, native Eucalyptus-dominated ecosystems react. EucFACE consists of six carbon-fibre rings, three that act as controls and three that release CO2 into 25m diameter circular plots. The six rings operate as replicates, with the three control rings identical except that they do not release additional CO2. Over coming years, the vast quantity of data generated by experiments inside EucFACE will inform science and policy in Australian and internationally as the world moves to adapt to rapidly increasing CO2. EucFACE is the result of over two years' of planning and development that would produce insights scalable to real-world ecosystems. It would act as a collaborative facility designed with the very best and most rigorous scientific principles that would produce accurate, trusted results. The data would be collected and managed according to best practice so that many different scientists could work with the results generated. Most of all, it would be designed in such a way that it preserved the natural ecosystem it was designed to measure. In this way, EucFACE has become a benchmark for innovation in environmental science, gaining widespread interest from the science community and the public. Carbon dioxide is stored in three 150,000 litre tanks under pressure as a liquid. During the day, computer systems release the liquid CO2 and run it through vaporiser pipes that use natural air to convert the liquid to gas form. The gas is then piped into the forest where it is run through fans to mix ordinary air with the CO2 to reach the required 550ppm. The circular rings are designed to deliver enriched air according to the speed and direction of the wind, adjusting their output accordingly. With sensors and valves, the direction of the air release means that enriched air is always directed into the centre of the plot, creating a stable level of CO2. 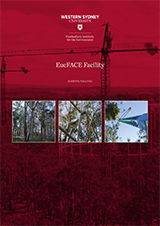 EucFACE was specifically designed to minimise its environmental footprint, despite the need to construct the enormous steel rings, wiring, plumbing and equipment housing needed by the facility. There is no concrete used anywhere in the forest so the footpaths, cranes and towers are fixed down with special mining screws that extend 5m into the soil. The rings themselves are fully raised off the ground so that animals can move freely in and around the rings and cranes, while all access to the site is by raised footpaths only. All wiring and plumbing is also above-ground, meaning that it is accessible and does not interfere with the processes of the forest floor. This section of the Cumberland Forest is unique, being one of the last remaining stretches of almost-original forest left in Sydney. Once covering almost 30% of the Sydney Basin, the Cumberland Forest is now down to just 6% as it is removed for housing and urban infill. What remains at Hawkesbury is close to original, with a mix of Forest Red Gum (E. tereticornis), Cabbage Gum (E. amplifolia) and other species. It is open and grassy with native and introduced grasses such as Microlaena. Now serving as the home for EucFACE, the site is also a recognised natural heritage site. Hasegawa S, Pineiro-Nevado J, Ochoa-Hueso R, Barnett K, Haigh A, Rymer P, Power S (2017) Elevated CO2 concentrations reduce C4 abundance and decrease diversity of an understorey plant community in a Eucalyptus woodland. Journal of Ecology http://dx.doi.org/10.1111/1365-2745.12943. You are welcome to use our Image Hosting Service to obtain higher quality images of EucFACE for printing and promotional usage. This system tracks the use of images and we ask that you credit any images you use as 'Image Credit: Western Sydney University - Hawkesbury Institute for the Environment'. To access the EucFACE Image Library, please visit download here (opens in a new window). The unique aspect of FACE is the ability to conduct an experiment using futuristic high atmospheric CO2 in the outdoors in large plots. This is the best simulation of how high CO2 is expected to affect Australian bushland, which is unique for its biodiversity as well as vast extent on the Australian continent. No such experiment of this size has ever been done in the Southern Hemisphere. The CO2 is sourced as a by-product from the manufacturing industry, effectively taking what would otherwise have been released into the atmosphere as waste and using it purposefully for scientific study. Additionally, some of this CO2 is absorbed and stored by the plants and soils at EucFACE. The added CO2 contains a unique isotopic signature that allows scientists to record how it moves through the atmosphere into plants and soils over time. Will the experiment increase CO2 emissions? No, the experiment will delay emissions of CO2 that would normally be released by industrial processes. In effect, this allows us to harness carbon dioxide pollution for scientific study. No. The CO2 is diluted before release and will only be at a concentration of 0.06%. It would take 100 times more CO2 to directly threaten human health. Are there plans to offset carbon emissions? Australian vegetation can be a large CO2 sink, and we seek to understand if our native vegetation can absorb more CO2 than it currently does. The Hawkesbury Forest Experiment and broader revegetation projects underway through national programs also helps to offset increases in atmospheric CO2. Is the research being used in informing and shaping Australia's policies and strategies around carbon emissions? 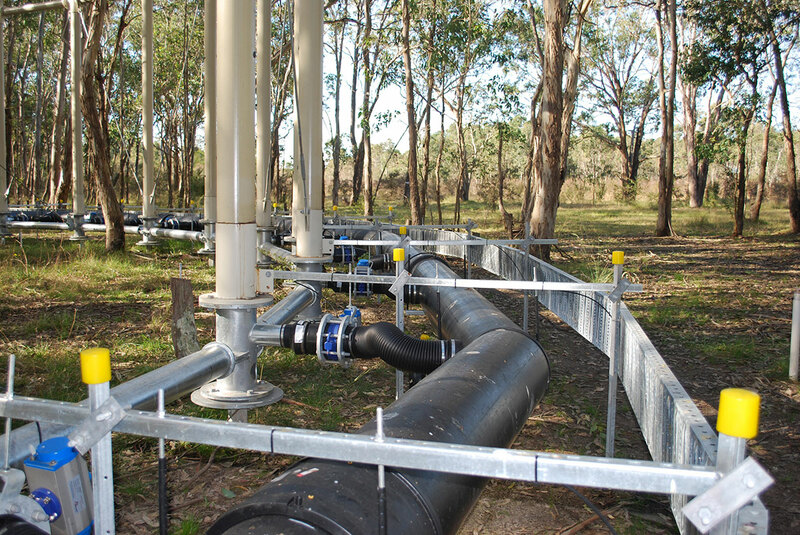 The Institute's work is quite unique and the results that will emerge over time from EucFACE and our experiments directly inform current approaches to management of carbon emissions. 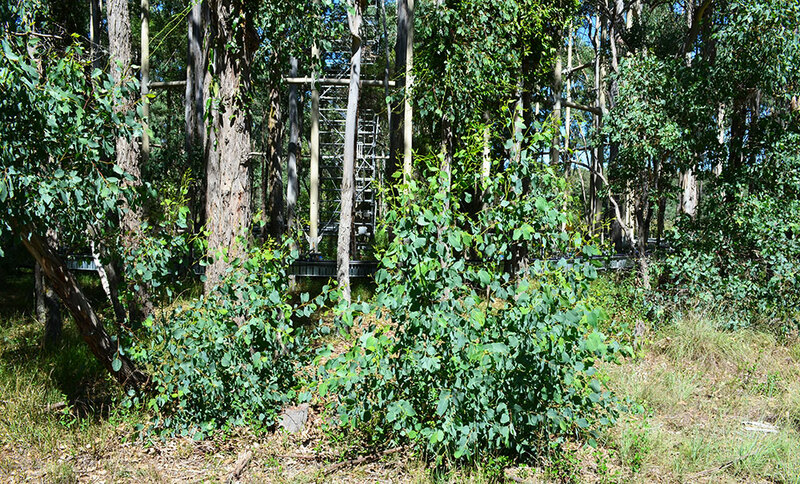 The Cumberland Plain woodland where the EucFACE site and the Flux Tower are located is an official TERN (Terrestrial Ecosystem Research Network) Supersite and therefore part of the Australian-wide TERN Supersite Network. For more information please see the official TERN website (opens in a new window). Associate Professor Matthias Boer is Project Leader for our supersite and our continued involvement with TERN. Additionally, many researchers from institutions across Australia and worldwide are conducting measurements and sampling at EucFACE as part of linked research efforts. To conduct experiments and sampling at EucFACE, please review the Collaborative Projects List and submit the application form. "Unique experiment takes its first breath"